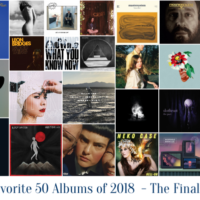 The Matinee ’18 December 4th – Part 2 is filled with innovative new music, some of which are really off the wall. There is also some spectacularly cinematic tunes and one summertime bliss. Afterwards, check out Part 1 of Tuesday’s The Matinee, and these songs are available here. Following the cookie-cutter approach is an easy way to gain instant popularity, but doing something quirky and out-of-the-box is the best way to get noticed in our opinion. 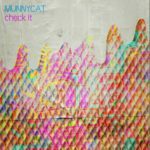 This is why MUNNYCAT, the project of LA-based DJs and producers K808 and Khaledzou, has grabbed our attention with “Check It”. The track is a bit of everything. It’s like the best mashed-up mixtape condensed into 182 seconds. 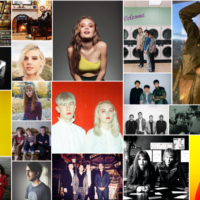 Influences from the past four decades flow throughout the track, including the UK grime scene of the ’80s, East Coast hip-hop and R&B vibes from the last ’80s to the early ’90s, to the frenetic and off-kilter alt-pop that Deerhoof blasted in the mid-’90s and then perfected in the early part of this century. It’s a little whacked, wonderfully fun and infectious, and incredibly inventive. It’s basically the cotton candy of pop music – a sugary delight that gets you immediately high and of which you just cannot get enough. We’ll be watching this duo for now on. 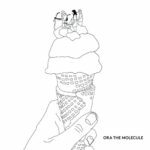 And continuing down the inventive track we come to “Sugar”, the new single from Norwegian outfit Ora The Molecule. We don’t know a whole lot about the band except they are a multi-national trio comprised of a Norwegian (singer Nora), a Slovakian hat maker (Sju), and a German (Jan, a touring synth player). They describe their music as punk-pop krautrock, although honestly their music is beyond comprehension. It is, however, refreshingly creative and simply brilliant, and their talents are on full display on “Sugar”. Krautrock vibes definitely feature prominently on the track, as do the electronica, film-noir, and the sultry soul and R&B of the ’70s. Flute and saxophone effortlessly merge with the synths and electronic beats to form a groovy, sensual, head-thumping number. This clever mélange of sound belongs equally in one of the Guggenheim’s art installations as it does in London’s most exclusive nightclubs. 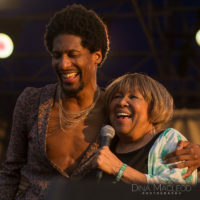 It also should be part of any post-graduate sociology or anthropology course, where students can examine how music can also challenge conventional norms through the messages they convey and in the space they occupy. In this case, the trio use the sweet confectionery to describe our addiction to material goods and superficial desires. This track, though, is anything but superficial but it is super addictive. It might be getting cool outside, but there’s always time to daydream about warmer weather and weekends spent frolicking in open meadows and walks along the beach. Helping us to look forward to spring and summer (or reminisce about those times) is Eleni Karageorgou’s project Post Lovers and his new single, “Tiger”. “Tiger” is a piece of blissful indie folk. It possesses the elegant charm of Belle and Sebastian during The Boy With the Arab Strap era as well as the subtle trippiness of The Doors. Karageorgou’s vocals are soothing, but her wistful storytelling echoes her Canadian counterpart, Andy Shauf. As you listen closely, she paints a world that sounds like Eden, where everyone can be themselves. It’s like Neverland, except there are no Lost Boys here. There are boys and girls here to enjoy the delights of this perfect place. However, there is something lurking in the weeds, but it’s not a crocodile and that tiger is more than just a striped animal. 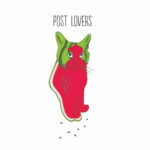 Post Lovers’ self-titled album is out December 10th on Inner Ear Records. Earlier this year, the great Eliza Shaddad released her remarkable debut album, Future. When she’s not focused on her solo work, she’s lent her voice to songs from electronic producers as well as joined forces with her close friend Daniel Sonabend on their shared project, SANDSCAPE. The duo have slowly rolled out songs over the past two years, but they haven’t released anything since February 2017 (“Don’t Say I Didn’t Warn You”). They return, though, in a big way. 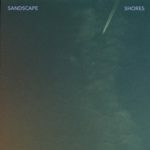 “Shores” won’t blow you away with booming beats, anthemic choruses, or raucous guitar solos. Instead, it will blow you away with its grace, eloquence, and cinematic beauty. The guitar and strings mourn while the quietly thunderous rhythms throb in the background. The soundscape, as such, is stirring, rapturous, and stunning. Shaddad, who is known for her spine-tingling voice, delivers a fabulously subtle vocal performance that is intimate, gorgeous, and soul-crushing. Her story of two lovers saying their final goodbyes will also break your heart. If the music isn’t enough, watch the song’s engrossing video. The single is out on Beatnik Creative. 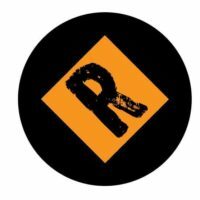 We anticipate an EP or an LP is coming in 2019. Sidney Crosby might be Nova Scotia’s most popular son at the moment, but Kristina “Teeny” Lieberson (guitar/keys/vocals), Lizzie Lieberson (keys/vocals), and Katherine Lieberson (drums/vocals) are – or soon will be – the Atlantic Canada province’s favorite set of siblings. Raised in Halifax but now calling Brooklyn home (Teeny is the former kebyoardist of Here We Go Magic), the trio are on the fast-track to indie stardom. 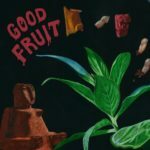 They’ve already performed at the most recognizable festivals around the world, and the good folks at Carpark Records signed them and will release the band’s new album, Good Fruit, on March 1st. From it is a song that offers a hint at their immense potential. “Only Water” is a stunning electro-disco-pop fare that sounds like Natasha Khan (a.k.a. Bats for Lashes) joining ABBA on a new tune. The synth work is outstanding, buzzing like it is 1977 all over again. Like the famed Swedish group’s music, the track doesn’t just make you want to dance. It also provides a moment of escapism and takes you away to a place faraway from the chaos around you. You don’t, however, want to go alone, but you want to bring that special someone with you and “make you mine”. Pre-orders for Good Fruit are available here. Go get it and tell your friends that you’ve discovered ABBA reincarnated (or the next Lucius). Anyone who has heard a Tycho song knows what to expect – something majestic yet intimate, dreamy and mind-altering, and an out-of-this-world experience. They’ve taken ambient electronic and turned it into a cinematic experience. Late last week, Scott Hansen, Zac Brown, and Rory O’Connor unveiled the shimmering “Jetty”. 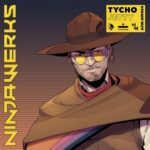 The song is part of the forthcoming Ninja and Astralwerks joint soundtrack, Ninjawerks Volume 1. It’s out December 14th, just in time for the holidays. Sydney outfit The Vitriots “Pinball Wizard”might only be a handful of songs into their careers, but it is time to acknowledge that the quartet are a pretty great rock band who write awesome stories. For instance, their last single, , was an amusing take on masculinity and the macho attitude that still exists in much of our society. 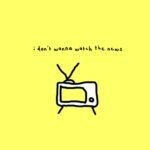 On “I Don’t Wanna Watch The News”, they get more serious and straightforward yet still deliver a thoughtful message. Musically, Brandon Jack, Richard Heath, Jaxon Brown, and David Sayah challenge ’90s Brit pop-rock and the days when Oasis ruled the radio waves. Jack’s vocals, too, echo Liam Gallagher with his grizzled, smokey approach. 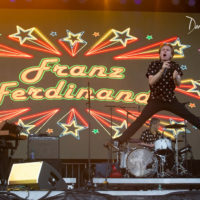 There is, however, Australian ingenuity in the tune, particularly in the surf-rock vibes that emanate from the guitars, the rollicking urgency, and the band’s aforementioned storytelling. They speak on behalf of millions of young people around the world who are tired of the excuses, lies, and devious tactics to fool people. They just want straight answers to their concerns, resolutions to the world’s most serious challenges, and some hope. Maybe, maybe one day we’ll get what The Vitriots have asked for on this awesome tune. The single is out on Sureshaker Music. Could an album be on the horizon?